The City College Rams women’s badminton team put in a valiant effort but lost 20-1 against powerhouse Fresno City College Rams. 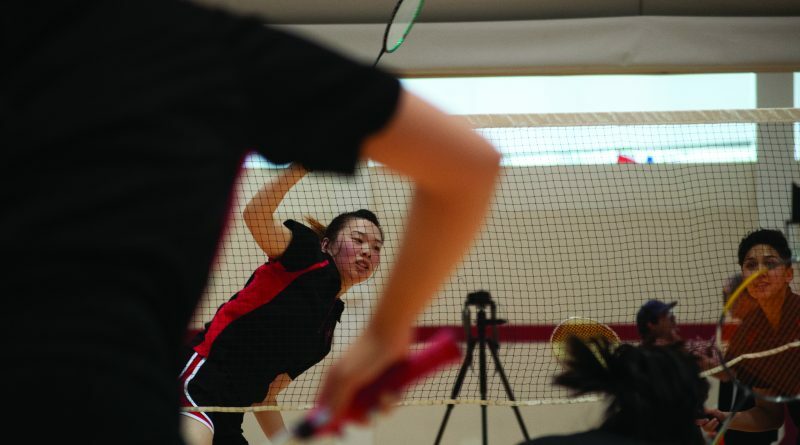 The Rams women’s badminton team is comprised mostly of freshman players who lack the experience of their competitors but the coaches are hopeful that the team will continue to progress and that by next year they will be able to compete on a state level. City College does a history of competing at the highest level in badminton. In 2010 they won the state championship and have numerous state runner up banners, not to mention the many Central Coast Conference championships, and winning the State Individual Doubles Championship in 2012. Badminton is often perceived in America as a backyard leisure sport but the women that compete in it for City College take it wickedly serious. They play in a tight court, facing off either one-on-on or in pairs, and play the best out of three games. With nasty backhands and hard slamming smashes this isn’t your average summertime backyard game. The speed of the shuttle, has been recorded to reach 306 miles per hour making it the fastest moving object in sports. During her singles and double matches with teammate freshman Hallie Meneses, Situ’s athleticism was on full display. Using the full length of her body, Situ’s far reaching efforts were a marvel to watch. When asked about her style of play, Situ replied, “I think that my smashes are okay but I think that my cross drops are my personal best. A cross drop by the way, is a sneaky little trick when a player plops the shuttle just barely over the net. 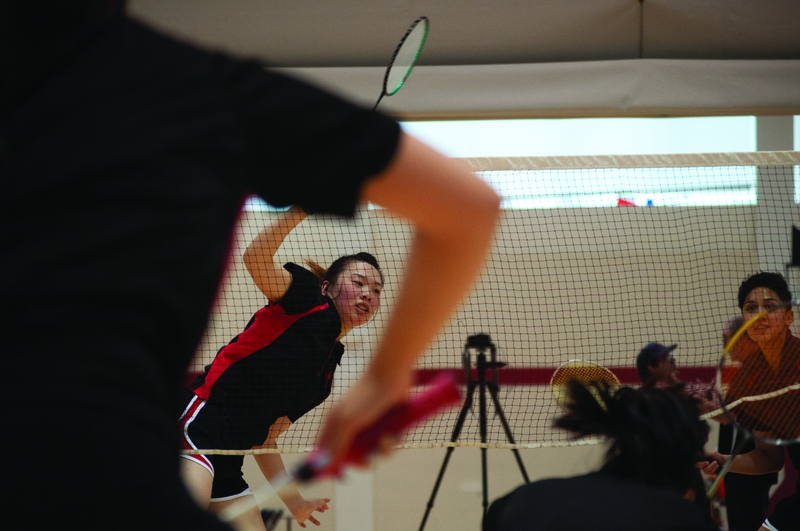 The City College Rams Women’s badminton players have a lot of heart and a whole lot more. With a record of 1-2, their next match at home will be April 16 against De Anza.